Today I want to review one of a gifts that I got from Xiao Vee and Pretty recipe giveaway. It's Jar of Beauty Chocolate truffle. This is not a chocolate but a lip balm with chocolate flavor haha. Like the product name, this lip balm has a jar packaging that made from plastic. This lipbalm has many 'flavor' or scent to choose, I don't remember all but the other who also won their giveaway got this Jar of beauty lip balm too but in Cola flavor. This lip balm has sweet chocolate scent and won't taste bitter when you lick your lips. Moisturizing my lips about 2 hours then I have to apply again. I used this when I'm at home like when I'm in my bed room with air conditioner on, also when my lips dry. I don't like apply lip balm with my finger when I'm out because I think it's not hygienic. You must be forgot what you've touch and it will affect the whole lip balm that left in the jar. This lip balm has no color when applied to your lips. 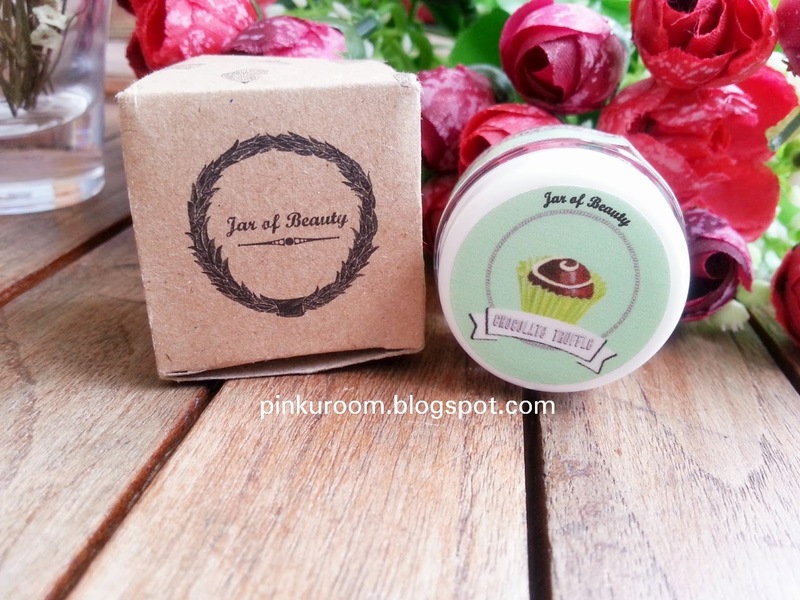 Just transparent lip balm with chocolate scent. This lip balm suit you who like lip balm with sweet scent that won't harm your nose haha.